Louis Le Prince was born in France and he developed some experimental cameras for taking moving images. His pioneering film was taken in Leeds and there is a clip taken from the canal office in Leeds of Leeds Bridge. This shows the horse drawn traffic of the day – it can be viewed on the Leodis site. Unfortunately Le Prince vanished on a trip to France never to be seen again so we can only speculate about what his later work would have involved. A blue plaque is located on the canal offices commemorating him. "The World's Finest Cinematograph Projector"
Abraham Kershaw & Sons Ltd. was a company known for quality and precision. By the middle of the 20th century, Kershaw projectors were used by cinemas all over the world, Kershaw optical instrument were used by the British armed forces and their `Soho' brand of cameras could be found in homes up and down the country. Abraham Kershaw moved to Leeds in 1888, working as a 'Scientific Instrument Maker and Repairer on Park Place. In 1904 Kershaw took out his first patent on a single lens reflex camera, and the focus of his company turned to optics. The still image camera was quickly followed by Kershaw's first projector, the 'Kalee I' in 1910. Abraham got the 'Kalee' name by reversing his initials and adding the first three letters of his adopted city of Leeds. Demand for Kershaw projectors was so great by the 1940s that over three quarters of Britain's cinemas had Kershaw equipment in them. Kershaw were also pioneers in the field of medicine. In 1903 they helped to develop and install one of the earliest electrocardiograph machines in the Leeds Infirmary. This machine records the electrical activity of the heart and can be used to diagnose various heart defects and record heartbeats. During both World Wars Kershaw’s produced optical sights for guns, planes and binoculars for use by the troops. In later years Kershaw were eventually taken over by the Rank organisation who eventually closed the Leeds operations. In the 1970 film adaptation of the Railway Children filmed on the Keighley & Worth Valley Railway the emotional scene where Bobbie (Jenny Agutter) is reunited with her father features Hudswell built M.S.C. 67 hauling the train. Having fired this engine myself on numerous occasions I was always convinced that the dramatic effect of Daddy appearing from the steam on the platform was achieved thanks to a tendency of one of the injectors to leak steam, apparently some artificial means were used though. 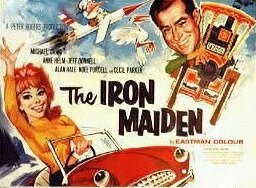 This classic World War II based film was in fact shot in Sri Lanka, or Ceylon as it was still called back in 1957 when the film was made. Filmed on the 2' 6" gauge Kelani Valley line, two of the Hunslet tank engines built for that line were used in filming. CGR No 104 (Hunslet 725 of 1901) bore the brunt of the filming being destroyed in the process as it plummeted in to the gorge for the dramatic climax to the film. CGR No 106 (Hunslet 727 of 1900) was a standby engine for the filming but survives today, just about. It was last heard of rusting away at Dematagoda shed near Colombo and surprisingly not one of the first choices for the country's small railway museum given its connection to this famous film. This comedy was filmed on the Longmoor Military Railway in Hampshire. A pair of Hunslet Austerity 0-6-0ST's featured prominently in this classic film. 3207/1945 was heavily mocked up as J50 68961 along with another one marked as 68011. Easier than arranging filming sessions on the British Railways system, the Longmoor Military Railway was used for several films and one of their Austerity tank engines made an appearance in this 1964 film staring Ronnie Barker and Graham Stark. In the late 60s and early 1970s the Hunslet Engine Co diversified in to producing a series of rubber tyred tractors for use in mines, on Navy ships, airport runways, e.t.c. 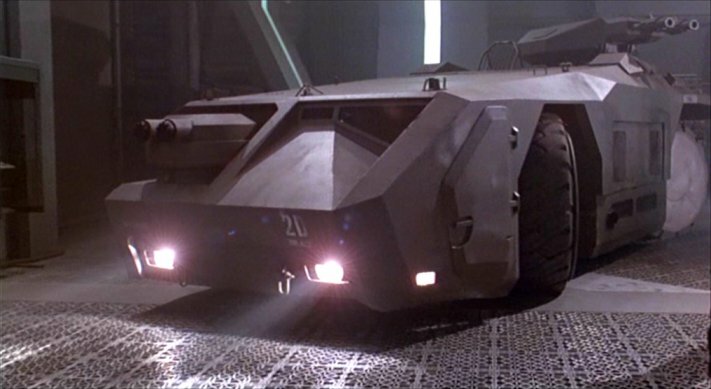 One of these tractors, an ATT77 model built as an airport tractor and previously employed 'shunting' Boeing 747s around Heathrow Airport was used as the basis for an armoured vehicle of the future in the Aliens Film. In the 2009 Sherlock Holmes film there were several scenes around the part built Tower Bridge and many of these scenes show steam cranes as there were Joseph Booth steam cranes all over the Tower Bridge during its construction. Some of the close up shots show reasonably accurate representations of the cranes, presumably this is all done by Computer Generated Images (CGI) so it may not really count. Click here to see a screen capture though this is a distance shot and the detail on the cranes is not so good. A couple of years prior to the film adaptation of the Railway Children story the BBC had done a TV version back in 1968, also shot on the Keighley & Worth Valley Railway. Filmed in black and white 'Sir B' featured quite prominently in this earlier version. One of the key scenes in the BBC's 1969 TV mini series adaptation of Charles Dickens' Dombey and Son shows what is clearly a Manning Wardle L Class. This is presumably Sir Berkeley again. Sir Berkeley gets back to its routes as a contractors loco for this 2016 ITV series about the shanty town set up to construct a railway viaduct. The locomotive was repainted black for this role as it was felt that it's green livery blended in with the background of the Yorkshire dales too much. Not so much of an issue for it's 1960s TV appearances as these were shot in black and white. One of the best known film appearances of a Leeds built engine is that of Todd Kitson & Laird's Lion taking a staring roll in the Ealing Comedy The Titfield Thunderbolt in 1953. In the story one of the attempts to sabotage the line had put their 14xx tank out of action and Museum piece "Thunderbolt" is pressed in to action. The clip below of the making of the film only shows a brief shot of Lion but also has some interesting insights in to how a couple of the most challenging scenes were filmed in the days before CGI.